Kortnie is a highly trained technical dancer who began her professional dance career in Calisthenics in which she holds several state titles. In 2005, Kortnie transitioned to jazz and ballet, working through her RAD ballet training. Kortnie has been recognised for her talent winning several major competition titles; including Mandurah Dance Festival dancer of the year, Kwinana Dance Festival highest scoring jazz/lyrical solo and qualifying for the world championships in Las Vegas through Showcase National Dance Championships in 2007. Highly accomplished in jazz, lyrical, contemporary, hip-hop and ballet, Kortnie joined The Dance Collective team in 2012 and has performed for many high profile events such as Apollo Sound System, So You Think You Can Dance, Interpeople Charity Ball, Style Aid, Real Estate Institute of Western Australia Awards, Oasis Media and Advertisement Ball, Dami Im, SGIO, City to Surf and the West Australian Dance expo. 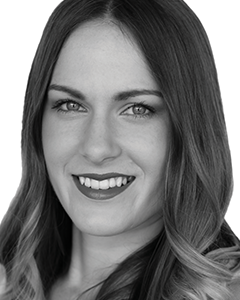 Kortnie enjoys working with others and has recently competed an Honours degree in Psychology. Her passion is to continue to share her experiences with others as a choreographer at The Dance Collective.